youth-topics, culture, tourism and social affairs. Also, press officers of youth organizations are invited. We invite the above mentioned target groups through e-mailings, web portals and specialized media. Only when the deadline is reached, we select the participants - so it is not possible to tell in advance of the trip for which media come the participants are working. But most are – concerning to our previous experience - free journalists who use their reports more than once. The PNJ demand - if the organizers wish to do so - a deposit of the participants. So only after submission of at least one publication (if necessary to be downloaded from the PNJ website) the participant get back his deposit. So we ensure as much as possible the active participation of the trip-members. The PNJ puts together a press publishing documentation for the organizers. In order to gain most interesting publications in young media, the press-trip should be as deversified as any possible, and it should provide most interesting conversation partners. Our participants do not need luxury accommodation! More important are travel grants and the payment of other costs (meals, rides, interpreters, etc. ), since many of the participants are freelance journalists who have to to finance the travel costs themselves. The themes of the trip should be tourism, (youth-)culture, local interests, etc. Besides an interesting program our participants need extra-time for own researches. 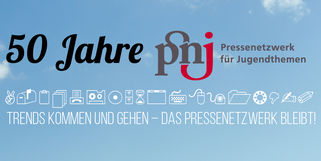 Established in 1966 and based in Germany, the Press Network for Youth Topics (PNJ) is an association for media-people who work on youth-related topics. Our members are journalists, spokespersons of youth organizations and volunteers involved in youth work. Our main objective is the international exchange program for journalists. So far, we have or had co-operations with countries such as Egypt, Israel, Belarus, Netherlands, Russia, Finland, Macedonia and Greece. The overall goal of this close collaboration is to learn about other youth cultures and to gain insight in other countries’ youth topics and politics. The PNJ also organizes national and international conferences, arranges seminars and invites to press-talks on youth topics throughout the year – and press-trips on youth, cultre and tourism! The PNJ aims at the improvement of the flow of information about youth topics around the world. We realize that there is an enormous lack of information about the situation of the youth even in European countries, including Germany. Reports about the living conditions of young people and their cultures in other countries are rare in the German media. We want to fill this void with our exchange programs and documentations of our observations in other countries.